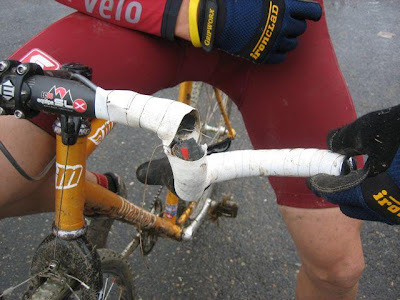 More cyclocross means more broken carbon. This time it's the bars. Thanks to Adam for sending me this photo.